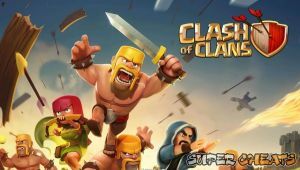 Clash of Clans is one of the most popular iOS games, developed by Supercell, who are also responsible for the success-story that is Hay Day. It is, however, a very different game to the farming simulator. Instead, Clash of Clans is a strategy game that harkens back to the old-style empire building of PC gaming. It also has tower-defense style elements, with the player being able both to attack enemy villages, and set up defenses to ensure they are secure themselves. As with most popular iOS games, Clash of Clans is what's known as freemium. This means that the initial game is free, but to realy excel and advance at it, especially in a timely fashion, you will have to spend some real money on the game. It should be borne in mind, however, that the entire game is available for free, it's only for the unnecessary, flashy and time-saving items that payment is required. The game was released in August 2012 but has also received content updates and patches since then. Samson of northwest mafia white cross black flag. Please provide max of everything. Thank you. I'm newbe and single player. Please help my COC account, give me everythinh you can. My COC name Dark Night #882YGCLRP. Can I please have some 'everything' name Methos Thanks! Walls disappeared would like them back! Especially since I had invested a lot of time in building them........The Undertaker!